Now is the time you find out if it's designed right. I tried to make sure everything was easily serviceable on mine too. I am concerned about the side covers and heat in the engine compartment. Just took the radiator in to have it checked and tested. Needed a new radiator cap. The good news is I have driven the car for nearly a year and pretty much have confidence in the mechanical systems. Big concerns are heating, the HVAC, and the top in place. What kinda hp is that LSA Motor with a 2.9 Liter Whipple going to have? I just saw a youtube video of one similar going for $25K!!! The one in the video had incredible power. I am thinking he is aiming for around 1000 to the wheels. I was pulling right at 975 with a 4.0 Whipple on a 402 Ci LS Motor. I will get some better shots of it. Was on the rack today so I didn't get to climb up and snap a few. stovens, 40FordDeluxe and Driver50x like this. Got the radiator back today. Bad cap is the only problem, Polished up the shroud. We are now working on stainless steel liner for the side panel covers to show off the engine better, might turn out to be a heat sink, we will see. Thanks for the pics! That Camaro will be a bad ride for sure! Your pics have a lot of the things I like in them. A Cuda is on my own list some day. I wonder why they chose a MII for it with all the options for those on the market now. That's good your radiator only had a bad cap. How come you didn't pressure test it with it in the car? 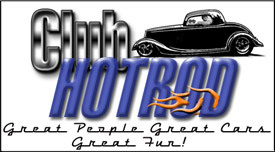 Hotrod46, 34_40, stovens and 1 others like this. Congrats on the calendar and the cuda progress looks nice! Man the short bed GMC is so nice. I'd wax it and run it. Is the next one a 55? It looks pretty darn nice too. Way cool - to be selected is just awesome!! The GMC is a total sleeper. It has a late model chassis and 6.2 Liter LS Motor. It is sweet beyond belief. The 55 is awesome as well. Kory told me to clean out my garage today, that I'd be bringing her home soon. Last edited by wrp; 12-07-2018 at 07:20 PM. 53 Chevy5, stovens and 40FordDeluxe like this. Looking good. There's a lot of cleaning and polishing in your future. LOL..
That's one thing about all the shiny stuff, keeping it all clean and shiny takes work. 40FordDeluxe and wrp like this.